Buy Cocoa bean grinder machine - Shandong Leader Machinery Co.,ltd. The machine is applied for processing cocoa bean. The machine is made up of up and down frame, deceleration device, transmission device, electricity device, stone runner device, heating device, discharge device and machine casing. Switch on the three phase power, using air switch to control power. Raise the stone runner, empty load to start up. Avoid stone runners abrading. Put in some cocoa bean. Start up the machine, put down the stone runner slowly and make the stone runner and pan of stone runner touch with each other. Then add the material slowly, no overflow. The material is grinded fine, the discharge hole aims at the feeding opening, let out the thinner material. Pull out the board in the pan, when put in the material. Then the processed material can flow into the material valve automatically. When needs heating, open the hot water pipe. Or control the temperature by oneself. Before starting up, fill lubricant cream to the transmission device. Tighten the screws, prevent loose. Check the machine before off work, after work, do clean and maintenance. Make the machine operate normally. 1. Operate the machine according to the procedure strictly. Prevent hand putting into the pool, pay attention to safety. 2. Prevent milling without any material in the machine. If you are interested in our product, please inquire us by email or telephone. We will give you our best service and quote you our best price. More detailed information, please feel free to contact me. For the whole Cocoa bean grinder machine,warranty is 12 months,within 12 months,if have equipment quality problems,we will provide accessories freely. After the expiration of the warranty period,if have spare parts problem,we only receive the cost of required replacement parts.We commit we will provide free technical support of equipment all whole life. Our company has engaged in producing and exporting Cocoa bean grinder machine for many years, and until now, our machine has exported to overseas market, such as Brazil, India, Indonesia, Russia, Thailand and so on, and get the foreign customers' unanimous praise. We believe that you purchase Shandong Leader Machinery Co.,ltd. 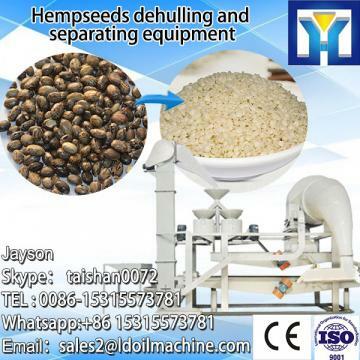 Cocoa bean grinder machine is your best and sensible choice.